There are a million platitudes about how to be a leader. As a self-admitted leadership junky, I am always interested in learning about different perspectives and ideas from books, Ted Talks, you name it. This summer at a child support leadership conference in Arizona, I learned that the greatest inspiration in leadership strength is surrounding yourself with mentors and great leaders. It started out as an interesting conversation at dinner about a friend’s son who recently attended blacksmith school. There were a lot of questions about what blacksmiths do today and what a lost art it is. The conversation turned into friendly banter amongst the group about a few people who had upcoming presentations on leadership at the conference. A friendly bet to incorporate the word blacksmith into presentation was on the table. 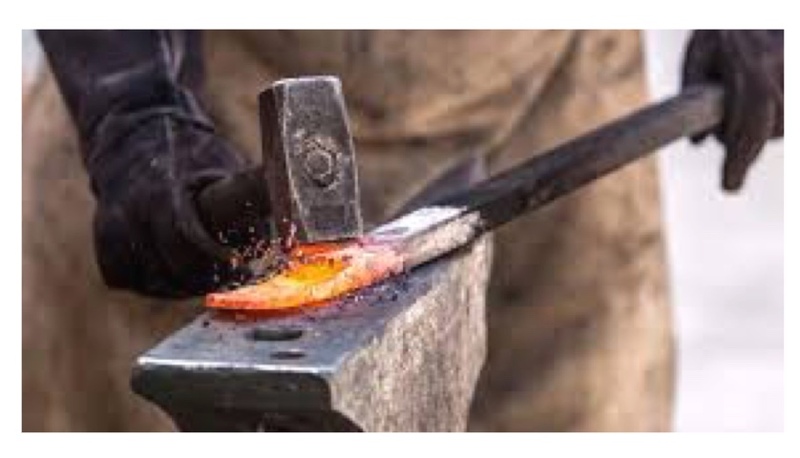 The next day at the presentation, of the panel of eight national child support leaders, seven incorporated the word blacksmith into their presentation on leadership. The concept of blacksmith leadership was born. It was on Twitter, Facebook and a topic of conversation the rest of the conference. There was a sense of excitement and camaraderie. The tag line of “Shaping the Future of Child Support” was not just a play on words for fun, it was reality. This group is actually changing the landscape of how child support services are delivered to families across the country. Families throughout the country depend on child support services. Working in child support is difficult work, people are vulnerable and sometimes difficult, thus it is easy for child support professionals forget how important and impactful their work really is. Blacksmith leadership is about supporting one another and ensuring that we are taking care of our teams and ourselves. If we show empathy to our employees and to ourselves we will only serve families better. How do you get involved with blacksmith leadership? Blacksmith leadership is a mindset and commitment to lifelong learning. It is about finding the ability to see something a different way and taking time to learn from a colleague. Blacksmith leadership is about collaboration and ex sharing your leadership skills with others. Try to be a mentor or give others a chance to stretch their own leadership skills. Finally, those with the blacksmith leadership mindset believe in having a little fun. People who a friend and may I dare to say have a little fun at work are not just happier but more efficient. This is how we shape the future of child support my friends, we are the leaders today and we are charged with inspiring the leaders of tomorrow. Follow the hashtag #blacksmithleadership on Twitter and share your thoughts and experiences. Join the movement and pass it on!